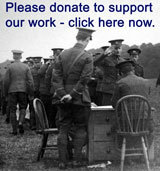 107th Regiment, Royal Armoured Corps, King's Own - After the war. 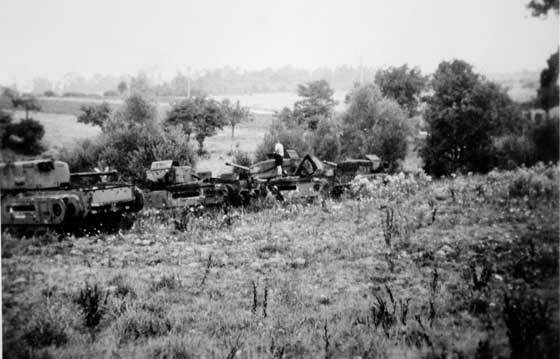 Thirteen Churchill tanks of the 107th Regiment RAC (King's Own) knocked out during the heavy fighting on the Orne on 7th/8th August 1944, photographed in a field at Brieux, Normandy, in 1947 by Captain Cockcroft previously of the Regiment. 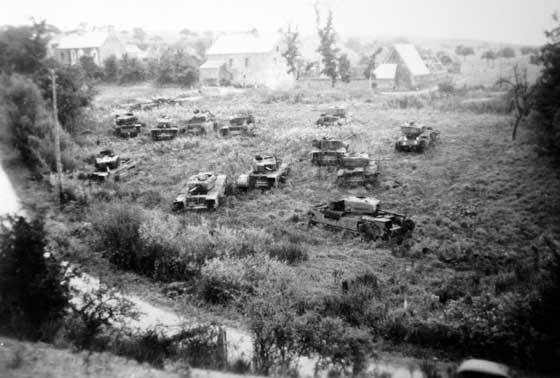 Tanks from A and C Squadrons faced a counter-attack by two columns of German armour whilst supporting 176th Brigade of 59th Division at this small bridgehead, and were joined by B Squadron on 8th August 1944. 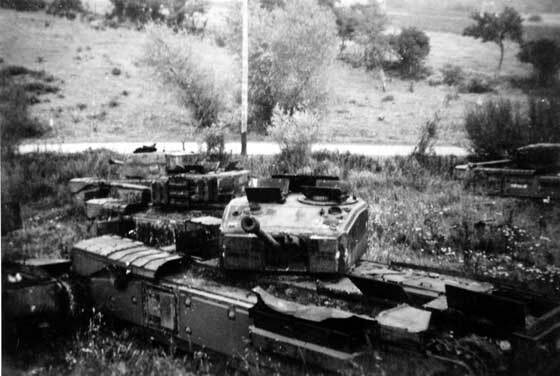 The Regiment lost a total of 22 tanks, 17 of which were a total loss. 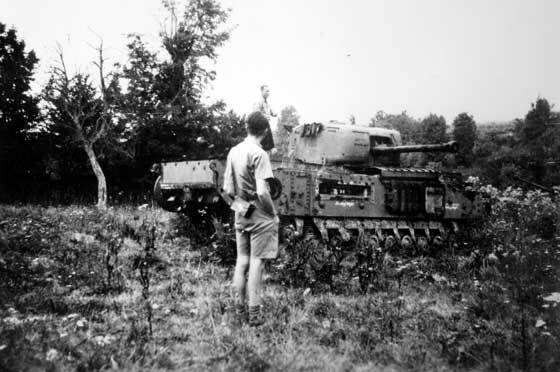 Knocked out Churchill tanks of the 107th Regiment Royal Armoured Corps (The King's Own) in a field at Brieux, Normandy, in 1947.